Wooden facial massager with two rollers. Wooden handle pumice stone brush. Ramie facial wash pad with white terry surface. Customer service is very good!! The items I ordered are very cute and beautiful. I definitely order again . 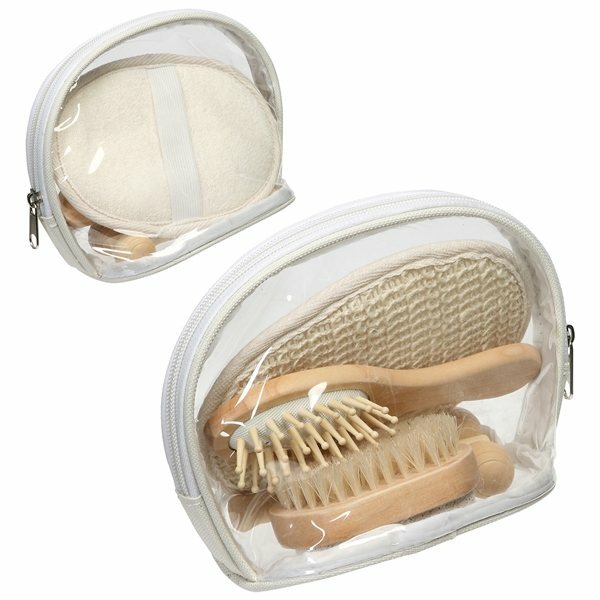 I absolutely love this spa kit. They thought of everything. Perfect for travel. Special treat for anyone. The printing was high quality and turned out well. The customer service reps I had spoken with were very easy to work with.